Plainview Industrial Supplies brought to you by the Internet Chamber of Commerce. Choose a company to see comprehensive business information. American Casting and Manufacturing plastic truck seals are made in the USA. With breaking strengths ranging from 80 lbs to 135 lbs., these plastic truck seals are the strongest in the industry. Seals are available with custom print and in a variety of colors. AC&M Model 4001 POLY TEK TIV is an economical fixed length plastic seal. 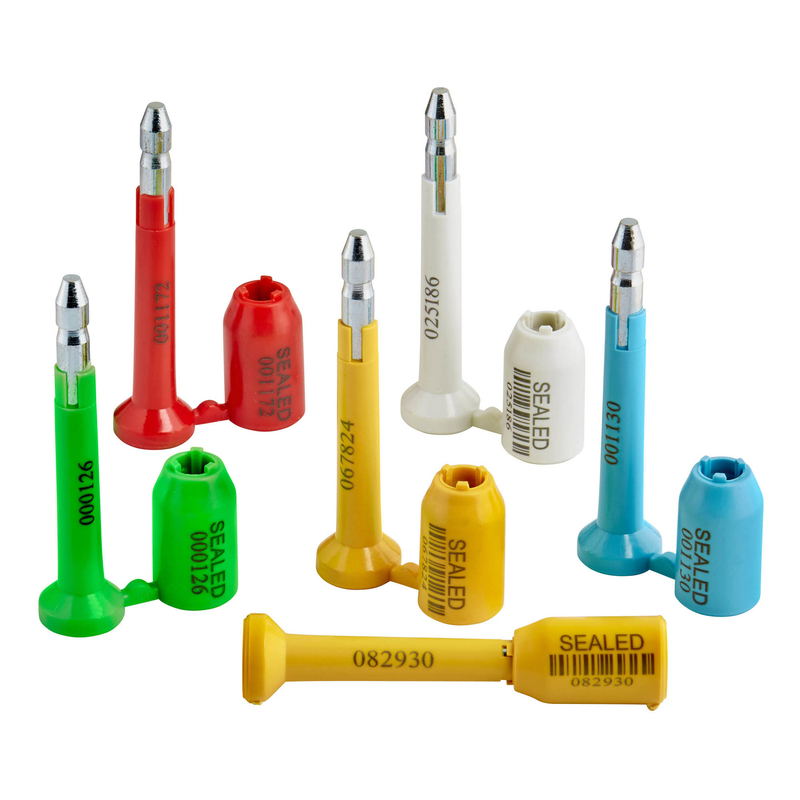 This tamper evident truck seal is made out of high-density co-polymer and is available in 16 colors. Manufactured in the USA. Model 4001 can accommodate up to 20 spaces of text and 7 digits. Company logos are available. Standard colors are Red, Blue, Green, Neon Red, Yellow, Neon Yellow, Tan, White, Gray, Violet, Black, Brown, Neon Green, Orange, Maroon and Green. Model 4001 fits many applications including trailer doors, containers, rail cars, tree tags, equipment tags and truck doors. AC&M Models HS75 and HS115 are fixed length plastic cargo seals available in 7 1/2" and 11 1/2" lengths. These heavy duty seals fit openings larger than 13/32" (10.2mm) and feature an advanced locking device. Manufactured in the USA. American Casting and Manufacturing offers complete line of high quality, tamper evident pull tight seals. AC&M Model AP50 is a newly designed plastic pull tight seal. 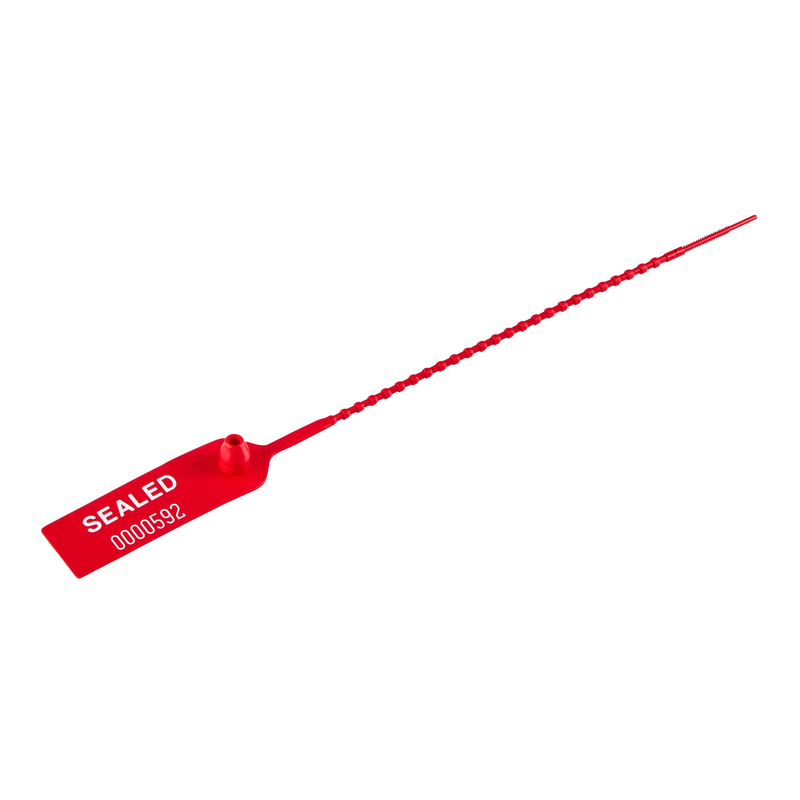 This tamper evident seal is available with an 8 inch or 16 inch adjustable strap and fits any closure larger than 4mm. The AP50 features a 1" x 2" printing area allowing for unsurpassed customization. Manufactured in the USA. Adjustable plastic seals are used to secure tote boxes, trailer doors, voting machines, and tank truck valves. AC&M Model PS95 is a medium duty pull tight seal, designed to fit any closure larger than 5/32" (2.3mm). The Model PS95 is easy to apply and remove by hand. Available with 3 lines of 11 characters and one line of 7 digits. Can be personalized with company logos, custom text, custom numbering, and bar-codes. The Model PS95 are commonly used to secure tote boxes, trailer doors, voting machines, emergency kits, and tank truck valves. Manufactured in the USA. 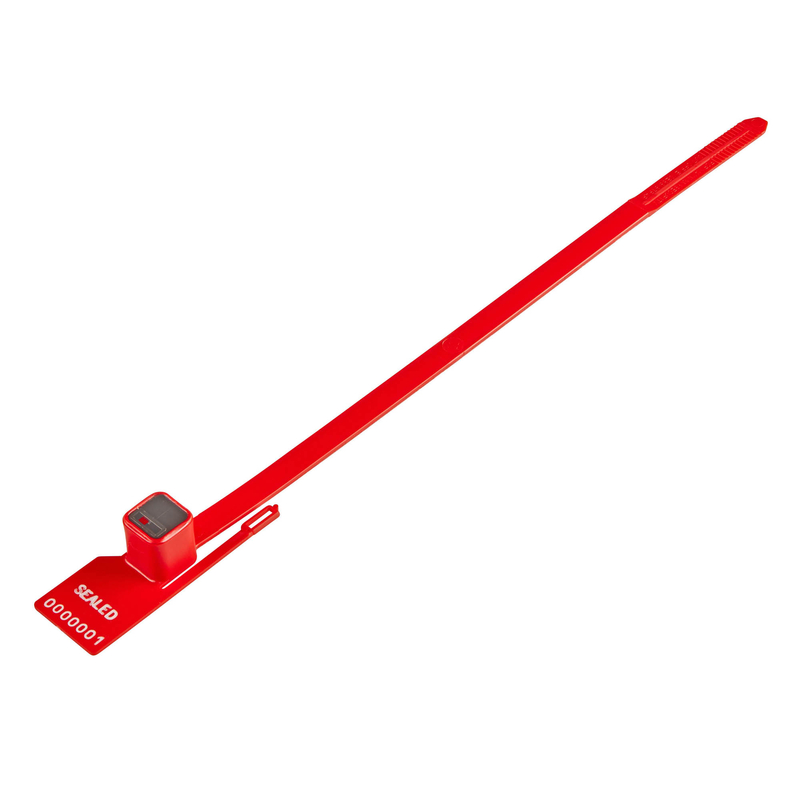 The Model 3001 is easy to apply and remove by hand. Ideal for ATM canisters, demand meters, liquor cabinets, hospital carts, zipper pouches, emergency kits and more. 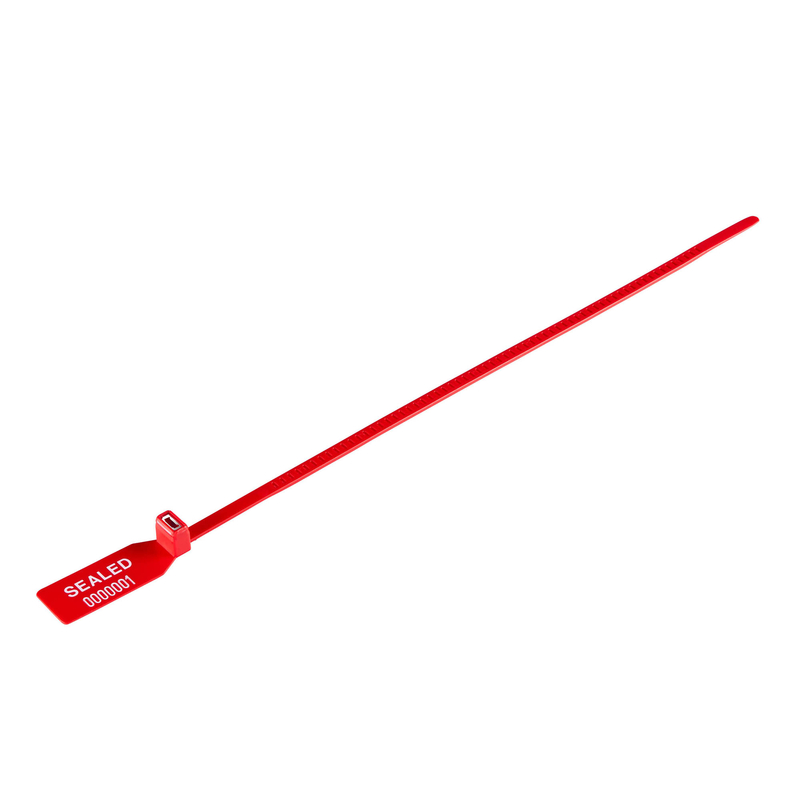 Our line of high quality, tamper-evident plastic strap seals are offered in a variety of lengths and breaking strengths to match specific security needs. 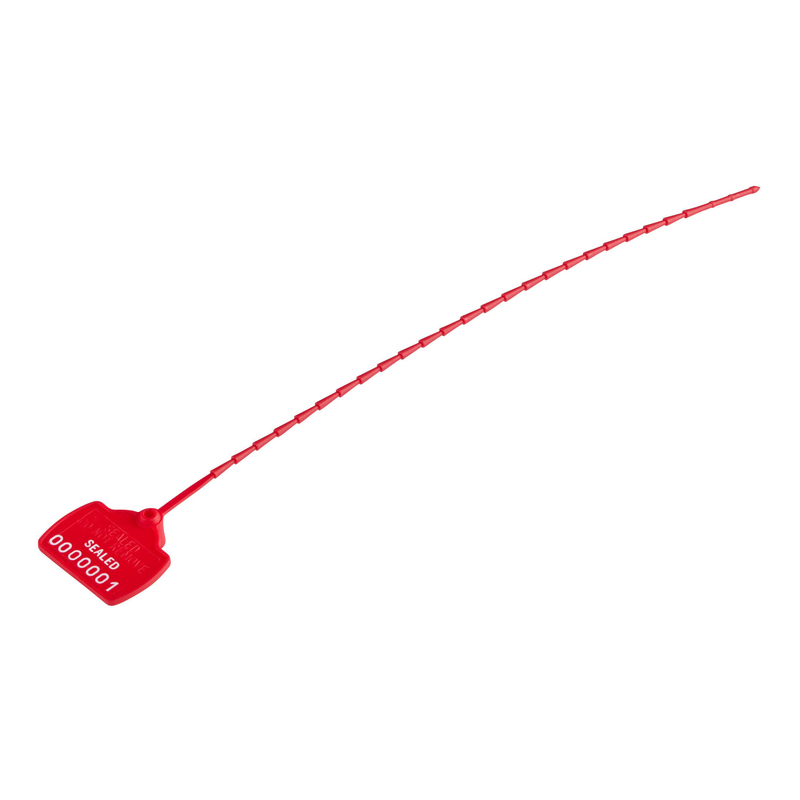 The Model PS360 BagGuard seal is a high strength adjustable strap seal. 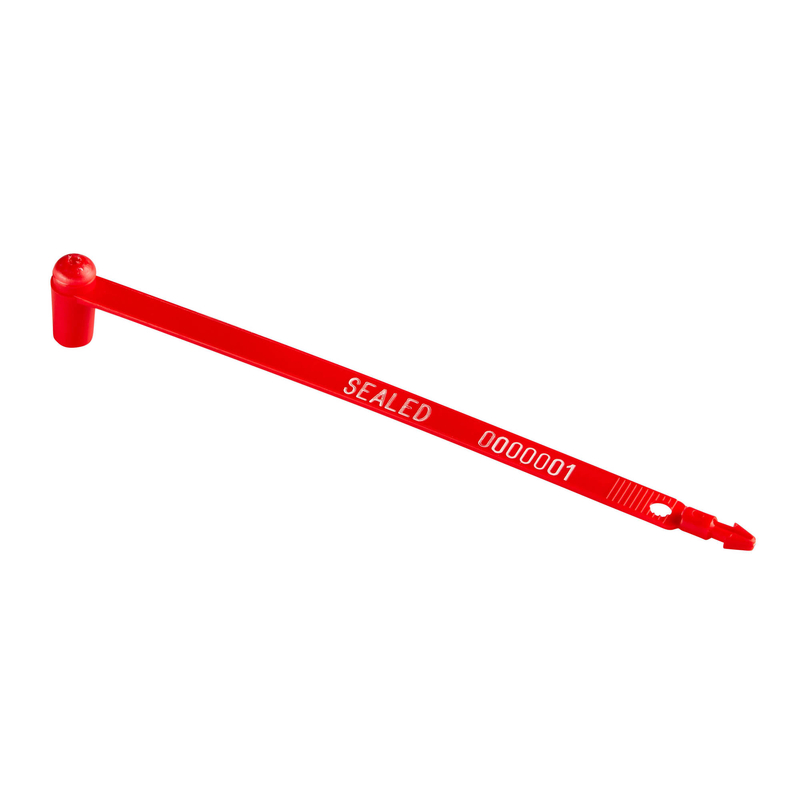 This tamper evident seal features an advanced 13 point locking device and bag gripping teeth to prevent twist off tampering. The PS360-NT (no teeth) is available for applications where bag gripping teeth are not needed. Fits any opening over 23/64" (8.9mm). Manufactured in the USA. 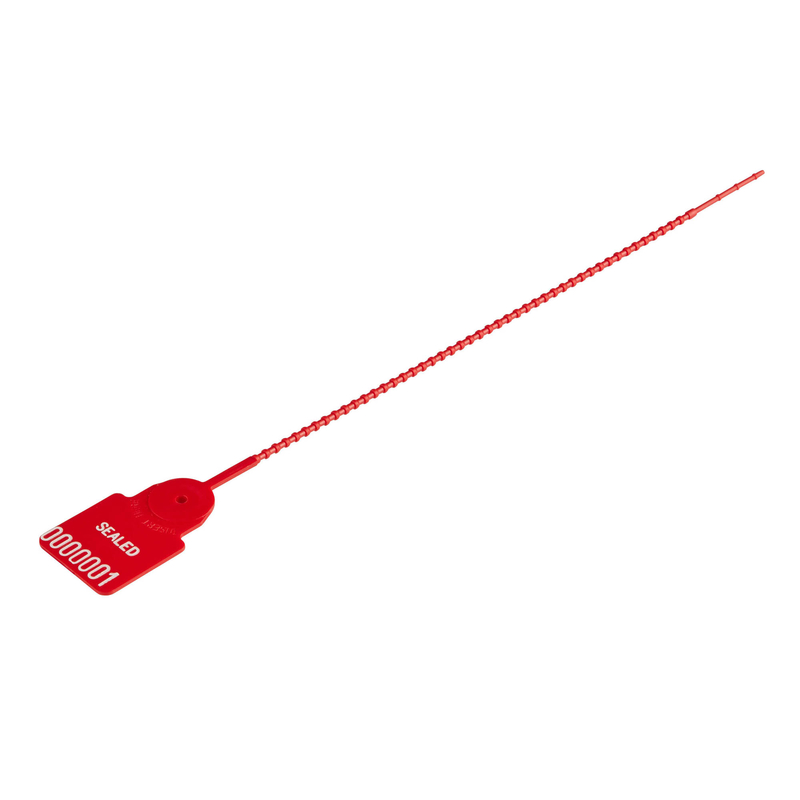 AC&M Model DTZIP is a heavy duty all-purpose plastic strap seal. 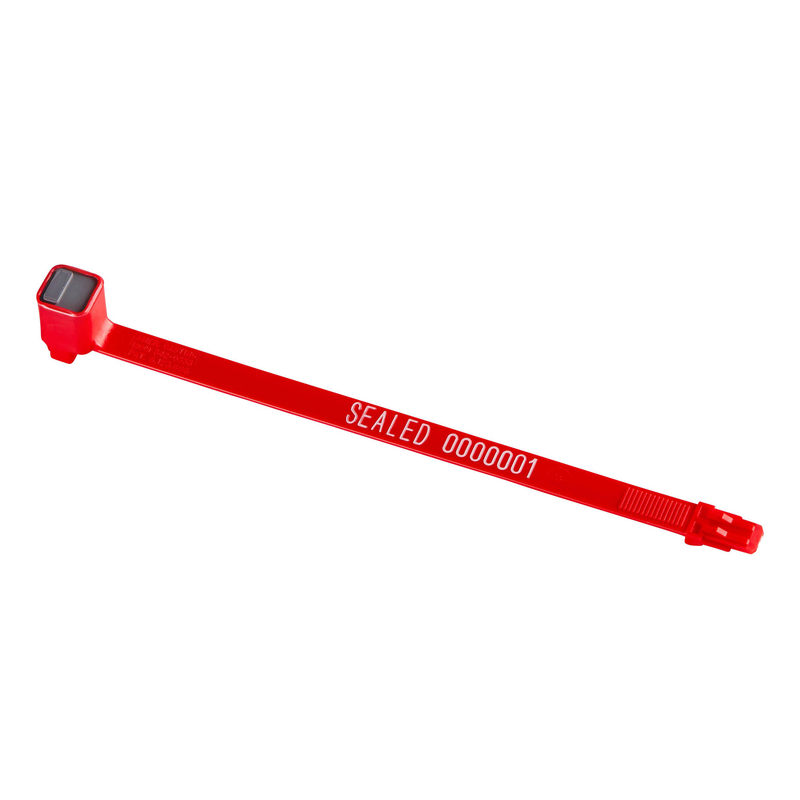 This tamper evident seal features a stainless steel locking insert and 16” adjustable strap. The DTZIP is available with or without bag-gripping teeth. The large 1”x 2” printing area allows for the ability to customize the DTZIP with logos, custom text, custom numbering, and barcodes. 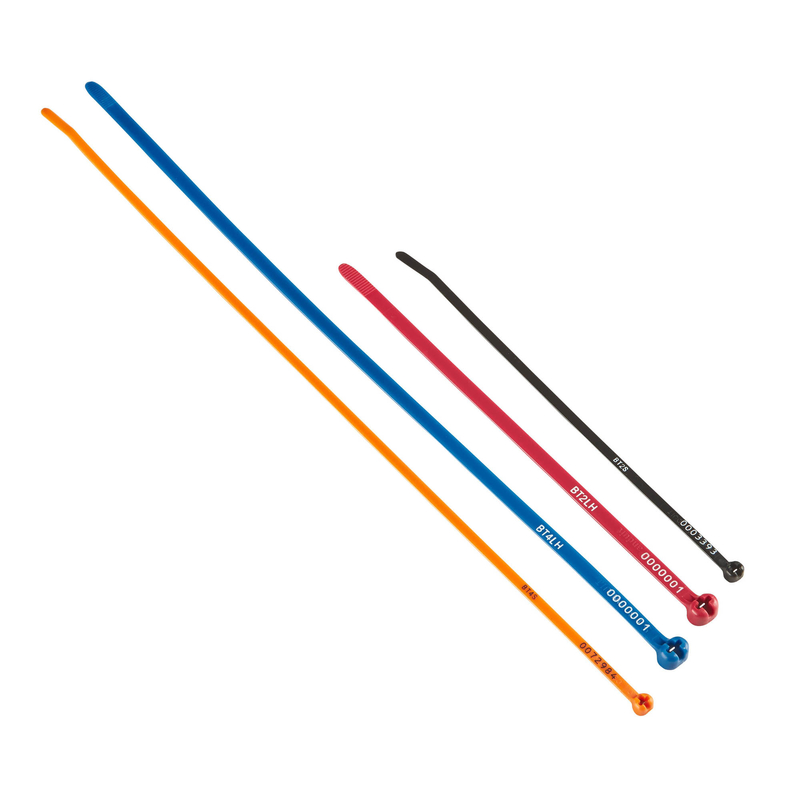 American Casting Nylon Cable Ties are available with custom print and in different colors and sizes. Nylon cable ties featuring a steel locking tooth and custom printing. Printed cable ties are available in different lengths and widths. Add your company name and numbers to improve traceability and security. American Casting and Manufacturing supplies affordable security bolt seals for containers, trailer door latches and cross border shipments. They are both C-TPAT Compliant and ISO 17712 certified for High Security. 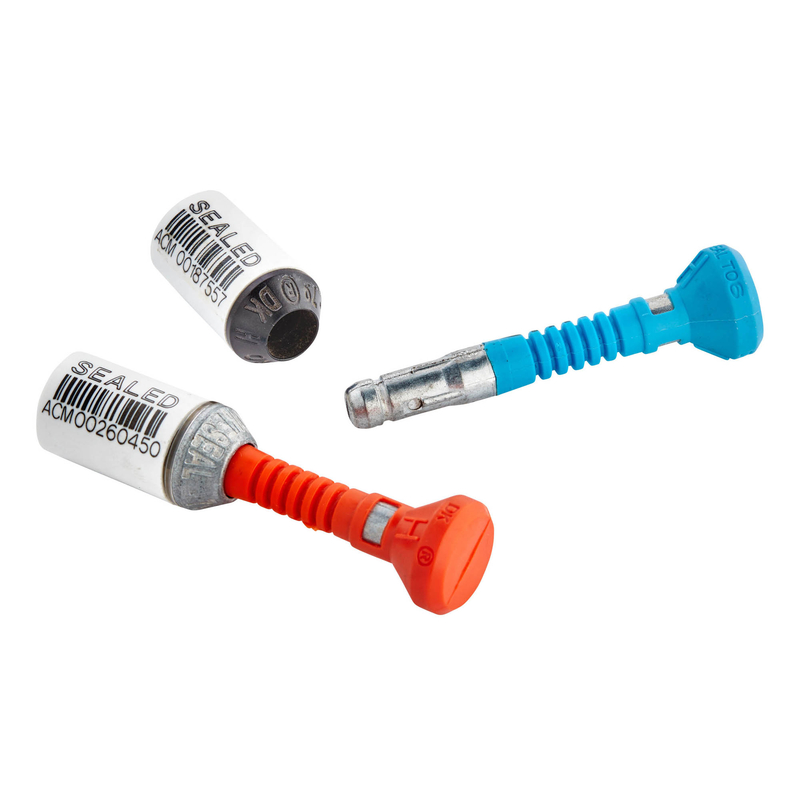 Choose between barcoded or custom printed bolt locks, all in which come in a variety of colors to add additional security. AC&M Model ISO-1H is a heavy duty bolt seal. To increase security and traceability the bolt head and bolt body are laser engraved with matching numbers. 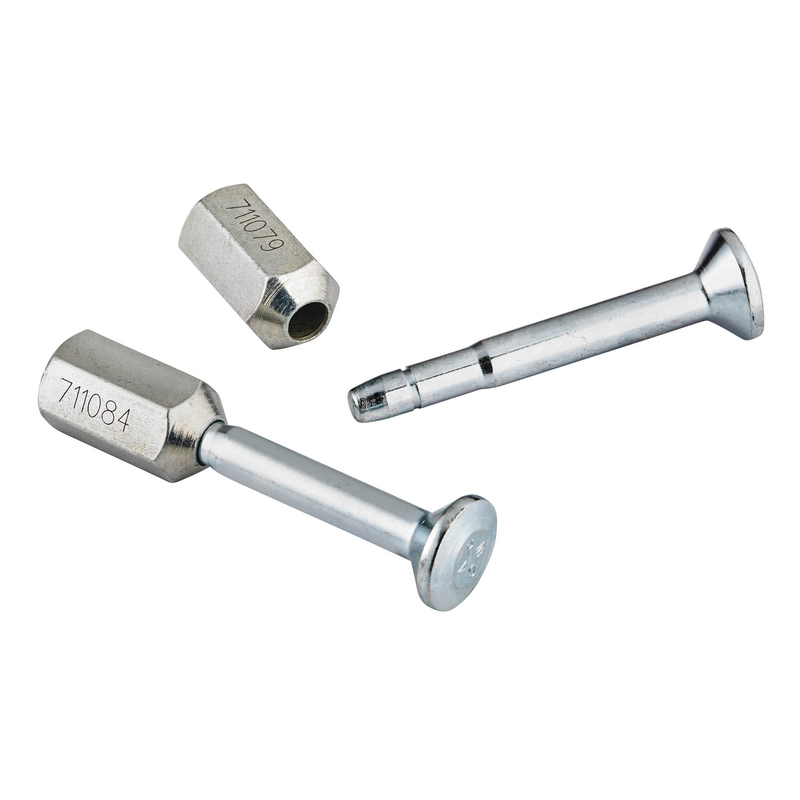 ISO-1H bolts are C-TPAT Compliant and ISO 17712 certified for High Security. ISO-1H are available in Red, Blue, Green, Yellow, and White. 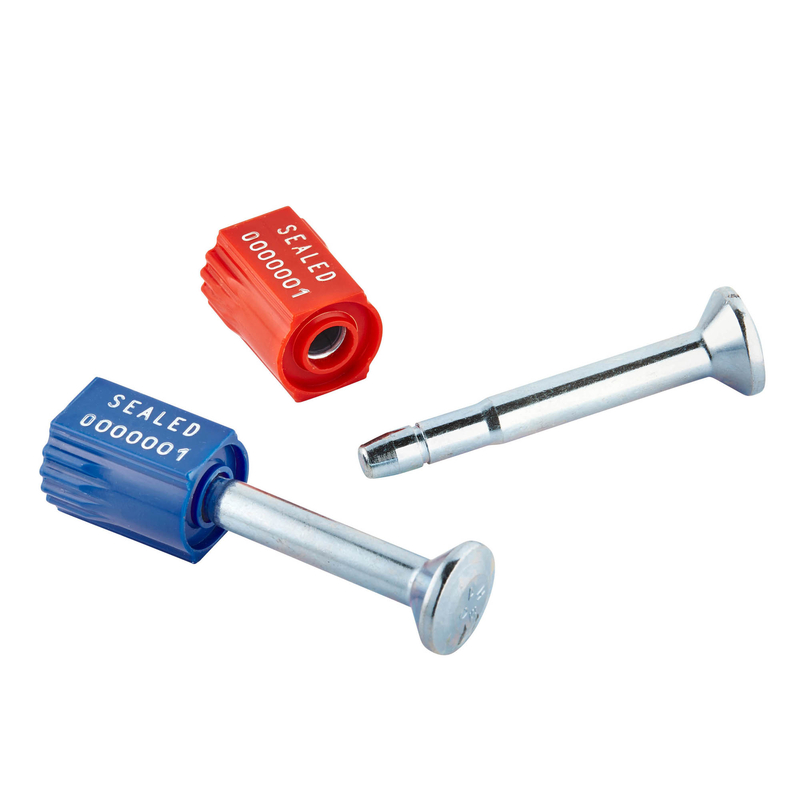 AC&M Model PBLT-2H is a steel bolt with a plastic covered locking device. Available in a variety of colors, and with custom printing. PBLT-2H bolts are C-TPAT Compliant and ISO 17712 certified for High Security. Available in Red, Blue, Green, Orange, Yellow, and White. AC&M Model BLT-1H is an all steel heavy duty bolt seal. Available with custom print, Model BLT1-H bolt seals are C-TPAT Compliant and ISO 17712 certified for High Security. AC&M Model FCL-3H is a High Security bolt seal. The flexible design provides allows for the FCL-3H to fit on any container, truck, or trailer door hasp. C-TPAT Compliant and ISO 17712 certified for High Security.